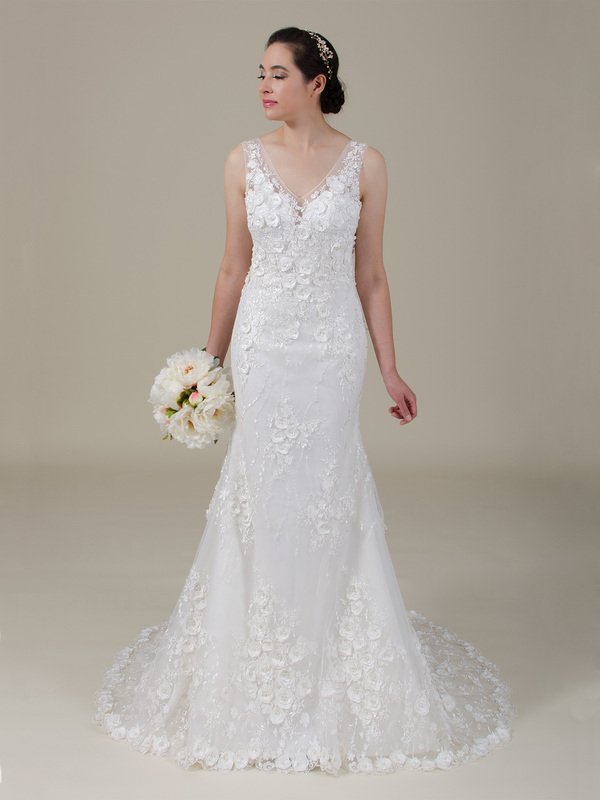 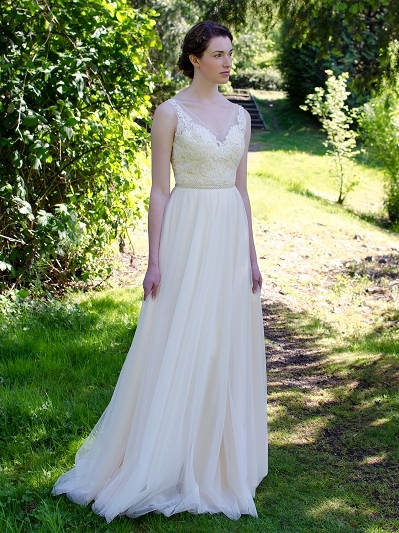 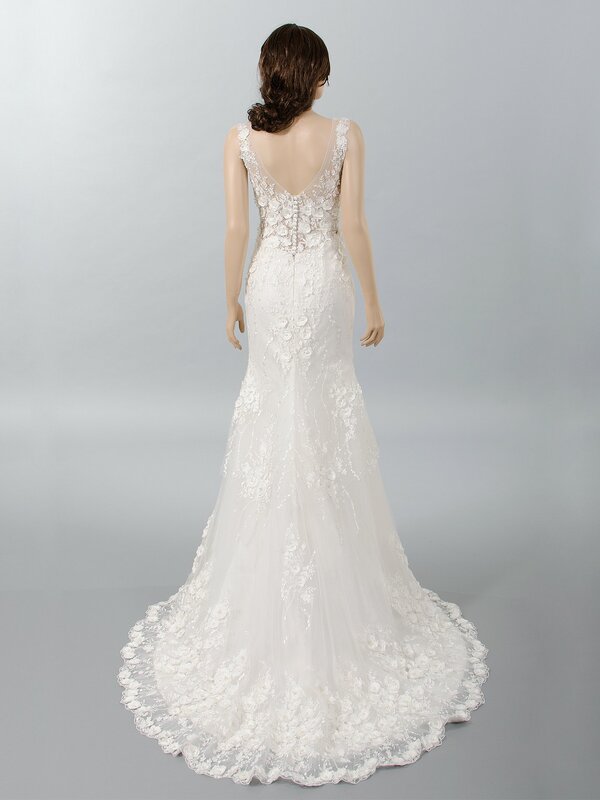 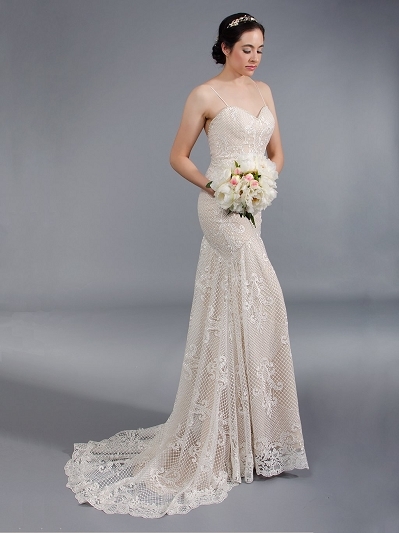 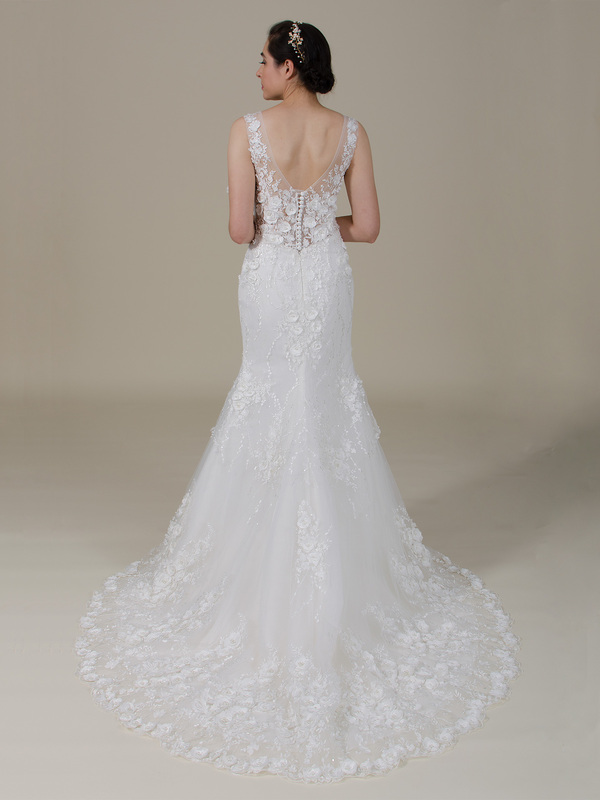 Fit and flare lace wedding dress made of 3D flower and beaded lace. 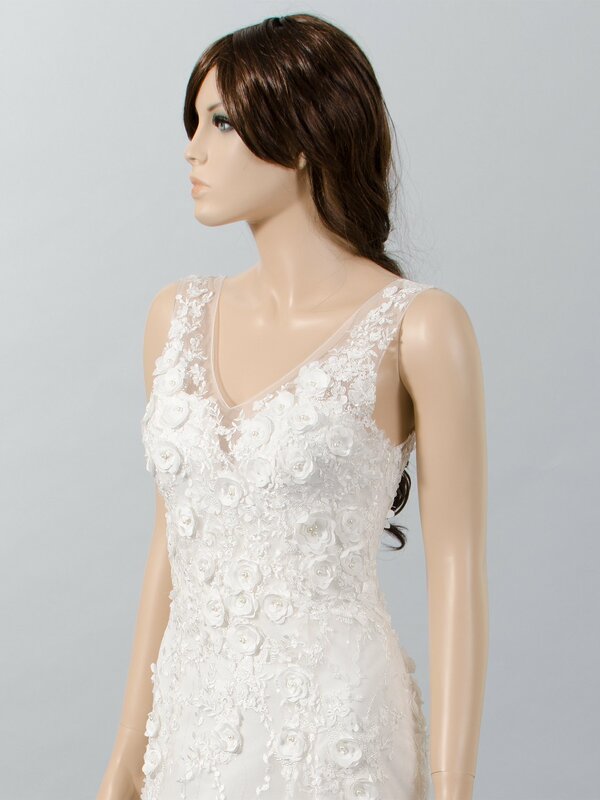 Finished with buttons at the back. 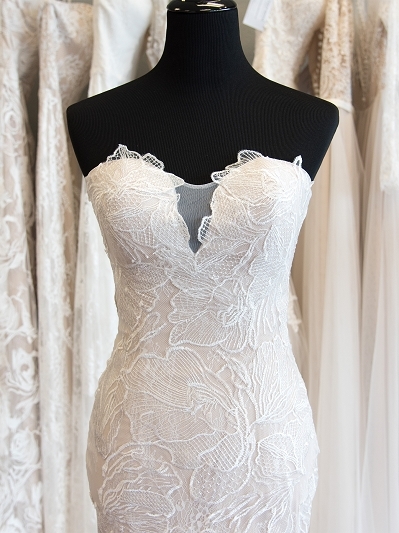 Ivory lace over ivory satin lining.